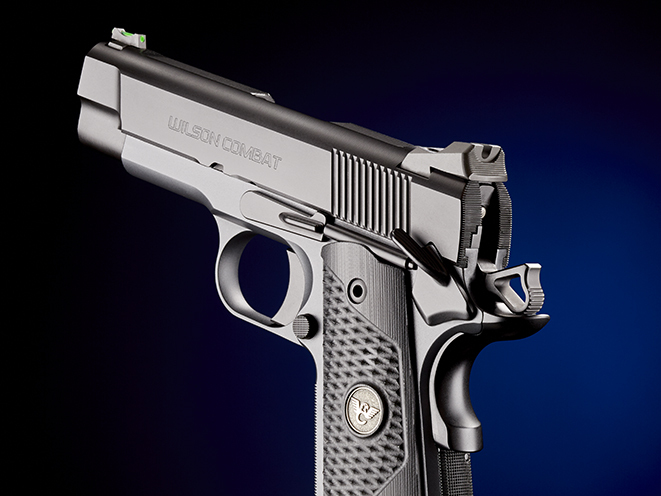 Don't let the name fool you­—the Wilson Combat Sentinel XL 1911 carries small but offers big possibilities. 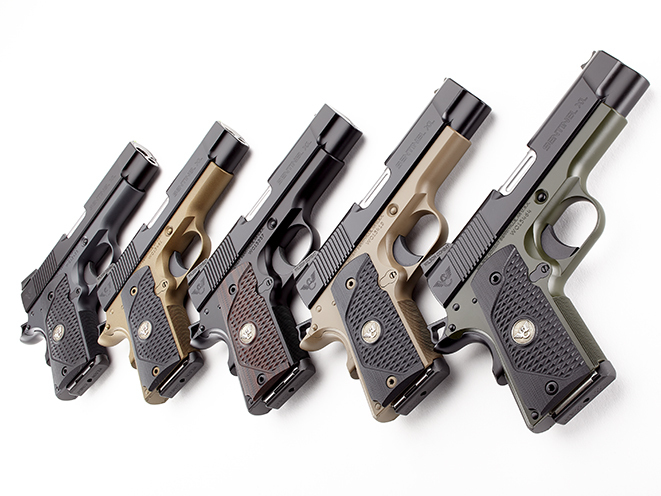 While every Wilson Combat pistol features a durable Armor-Tuff finish, you can customize the grips, sights and frame color—grey, burnt bronze, black, Flat Dark Earth or green. Note the pistol’s fiber-optic front sight, rear Battlesight, skeletonized hammer and black cherry grip panels. The top and rear of the slide are serrated to help reduce glare. Two 8-round mags are included. Two 8-round mags are included. The Sentinel XL’s longer barrel and slide translate to a longer sight radius, which will help shooters get on target more easily. At the range, the Sentinel XL ran flawlessly with all of the test ammo and produced some tight five-shot groups at 25 yards. The original quote was from a commercial for E.F. Hutton, a giant stock brokerage firm in the 1970s and 1980s. In the early 1970s, a young man named Bill Wilson started working on guns in the back of his father’s jewelry store. He was shooting in competitions but wasn’t pleased with his stock guns. Soon he was working on other shooters’ guns and the business grew. In 1977, the fledgling gunsmith opened the doors of his own shop. That was the beginning of what is now Wilson Combat, located in Berryville, Arkansas. 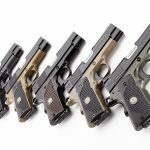 Since that time, the business has grown from a one-man shop to a corporation that employs 60 people and builds a wide variety of pistols, rifles and shotguns. 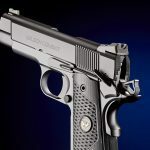 The company is best known for its extensive line of 1911s, which now includes five categories and, by my count, a total of 53 specific models. You almost need a play card to keep up with the offerings. 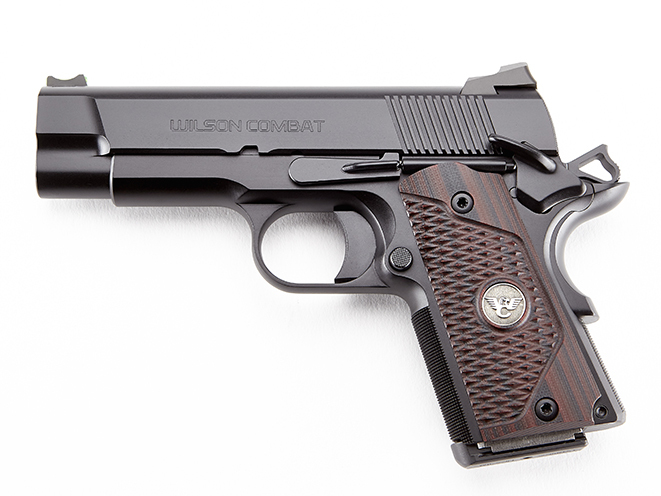 Wilson Combat values the feedback its gets from its customers and keeps track of current trends in the industry. 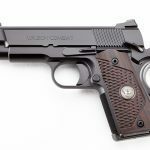 The two trends that have influenced the company the most are the explosion of concealed-carry firearms and the increase in the popularity of 1911s chambered in 9mm. I have to agree with Bill on all of these points. 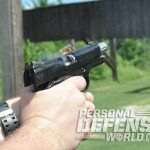 Recently, I was fortunate to receive one of Wilson Combat’s new X-TAC Elite 1911s in 9mm. Like many shooters who “grew up” on the .45 ACP 1911, years of shooting has taken a toll on my hands and elbows. 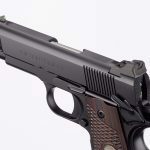 Ken Hackathorn and Larry Vickers, while still devoted to the 1911, will readily admit to shooting 9mm 1911s during teaching and training events. After spending a couple of days on the range with the X-TAC Elite, I came to understand their enthusiasm. 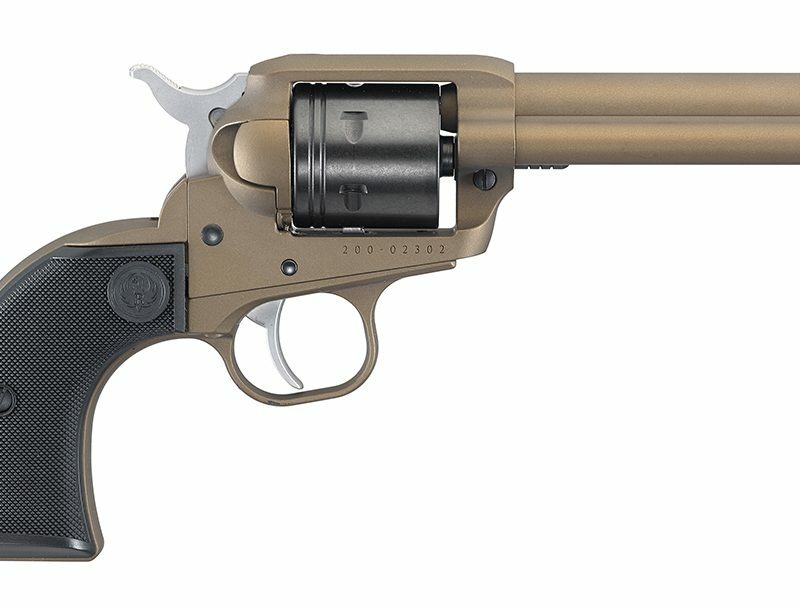 As I was completing my evaluation, Wilson Combat announced a new model, the Sentinel XL. I quickly requested a sample for testing. 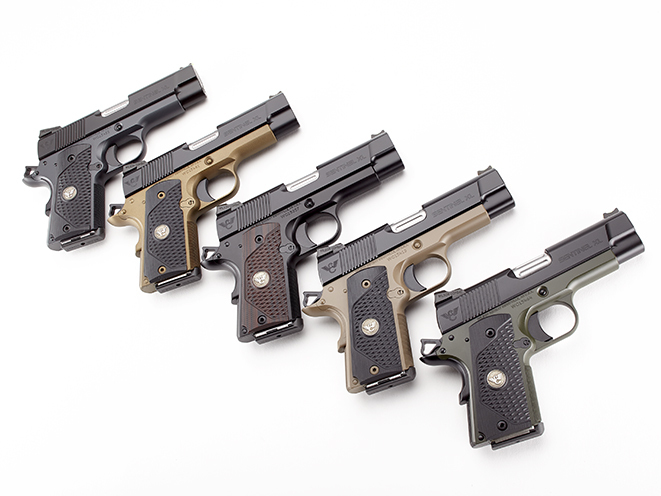 Wilson Combat’s Sentinel pistols feature subcompact frames and are available in seven different configurations. I asked Bill what led to the Sentinel XL. He stated that his wife, Joyce, has carried a Ms. Sentinel for several years. 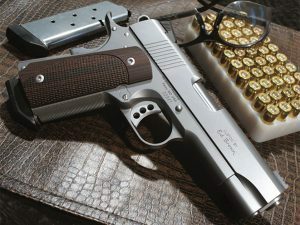 The Ms. Sentinel is an aluminum-framed pistol that is 4.8 inches tall and 7.2 inches long with a 3.6-inch barrel. 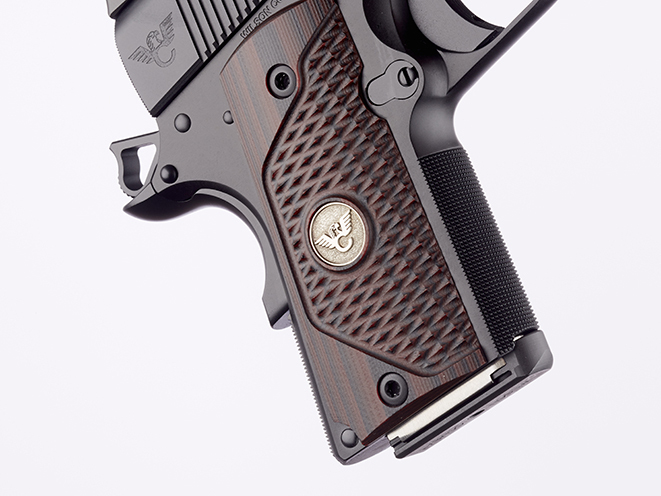 Weighing just 26.8 ounces, the Ms. Sentinel is a great compact 9mm with many upgraded features. However, short guns are harder to shoot and, make no mistake, Joyce Wilson is a shooter. Bill noticed the difference when Joyce shot a 4-inch-barreled Compact model. So, Bill dropped a 4-inch barrel and a correspondingly longer slide on the Sentinel frame and the XL was born. 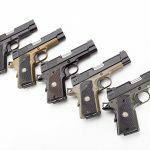 The longer slide allows the Sentinel XL to be offered in 9mm, .38 Super and .45 ACP. When I unpackaged the Sentinel XL, I was a little surprised at how compact it was. The Sentinel is a full half-inch shorter than Wilson’s compact frame. As one would expect, the Sentinel XL exudes the quality and class that Wilson Combat is known for. The fit and finish are superb, and the slide-to-frame fit feels like glass on glass. The little pistol is also loaded with features. Starting with the frame, the frontstrap and mainspring housing sport 30-lpi checkering. The base of the triggerguard is also undercut so shooters can get a higher grip on the pistol. To aid in concealment, Wilson has equipped the Sentinel XL with its smaller Concealment Bullet Proof beavertail grip safety. The ambidextrous safety is Wilson’s Tactical model, and though it has smaller levers than many designs, it’s fully functional. The solid, medium-length trigger is equipped with an overtravel stop, and my test sample’s broke cleanly at 4.22 pounds. 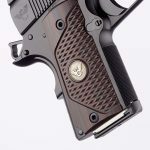 In keeping with its concealed-carry design, the magazine release is shortened and rounded. Wilson also contoured the magazine well and countersunk the slide stop. Ultra-thin black cherry grip panels set off the Sentinel XL, and they feature Torx-head grip screws, pewter “WC” medallions and a unique checkering pattern. 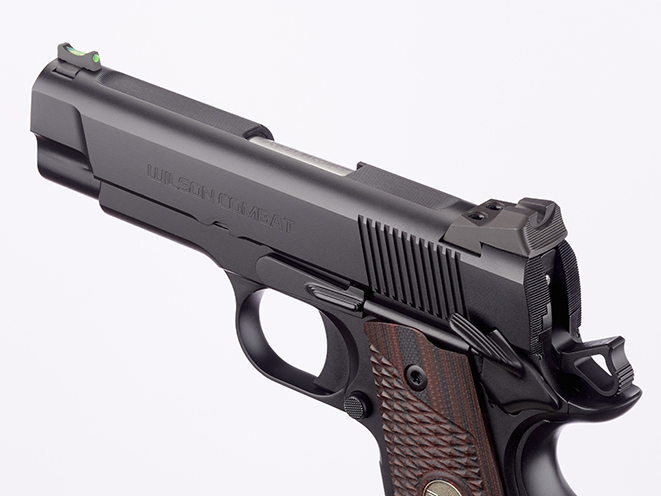 The slide has Hi-Power-style carry cuts, and the bottom edge has been chamfered. The top of the slide has 30-lpi checkering to reduce glare, and the rear of the slide has 40-lpi checkering for the same reason. The match-grade, stainless steel barrel, flush-cut with the end of the slide, has a reverse crown. The barrel is also fluted, which looks nice and helps reduce weight. The hammer is Wilson’s Concealment hammer, which is designed to work with the Concealment grip safety. This combination works very well. The Sentinel XL uses a single, flat-wire recoil spring and a stainless, full-length recoil spring guide rod. The Sentinel XL comes standard with a green fiber-optic front sight, but other options are available. 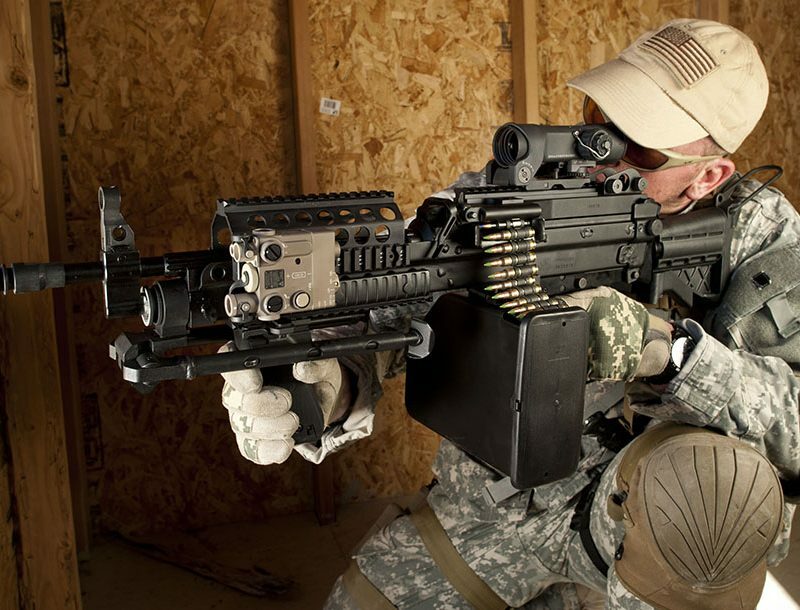 The rear sight is Wilson’s Battlesight, which features a deep U-notch for fast acquisitions. 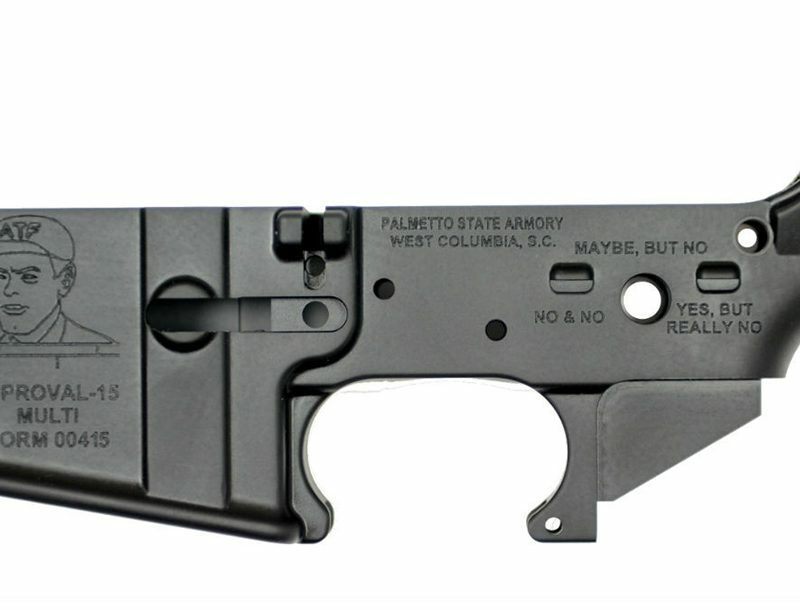 The leading edge of the rear sight also features a shelf that enables positive one-handed cycling. Finally, two 8-round Elite Tactical magazines are included with each pistol. On the range, I was pleased with how well-mannered the Sentinel XL was. 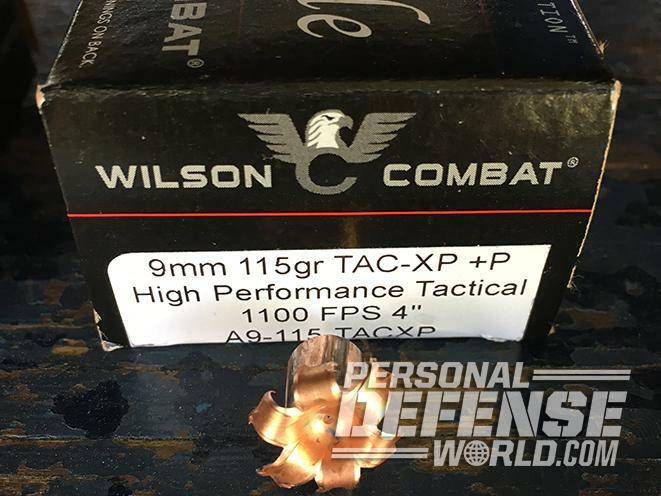 We tested the compact pistol with three loads from Wilson Combat as well as a subsonic load from Gorilla Ammunition, which was extremely soft shooting. I tested the pistol’s accuracy at 25 yards. And let me just say that I cannot match the capabilities of the Sentinel XL. I will admit that attempting to shoot tight groups with a bright green fiber-optic front sight is not that easy. In an attempt to properly measure the pistol’s inherent accuracy and minimize shooter error, I shot from a seated position, resting the pistol between my knees. 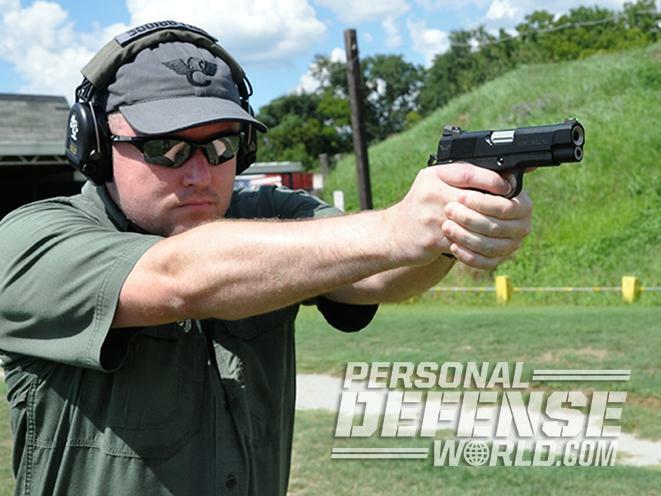 I fired a 10-shot group with each load and measured the best five shots. 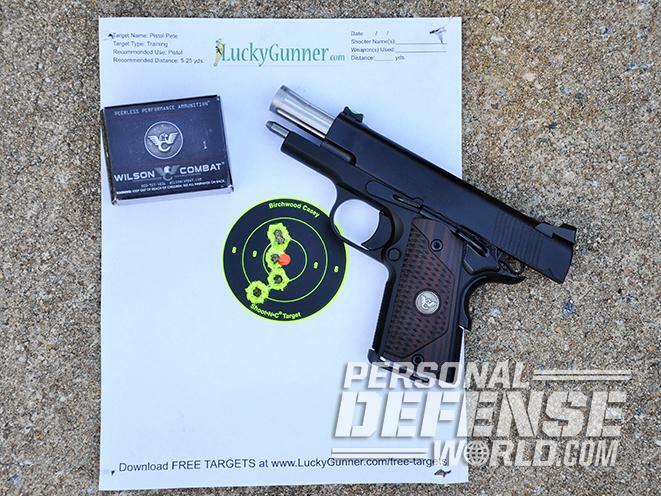 The three Wilson Combat loads all created sub-2.5-inch groups while the Gorilla group measured 2.75 inches. 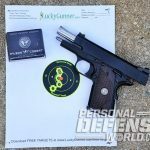 After shooting the required tedious groups, I broke out a 25-yard Bullseye target and shot a modified Hackathorn “10-10-10” drill, where you fire 10 shots in 10 seconds from 10 yards. Given the eight-round capacity of the Sentinel XL, I modified the drill to fire eight shots in eight seconds, from 10 yards. I shot the drill twice for a total of 160 maximum points. Two of my shots wandered into the 9-ring and three went into the 8-ring to lose 10 points. The longer sight radius of the Sentinel XL, when combined with the fiber-optic front sight, enabled me to establish a good rhythm to score well on this drill. My times were 7.47 seconds on the first run and 8.02 seconds on the second run. I’ll take that all day long. 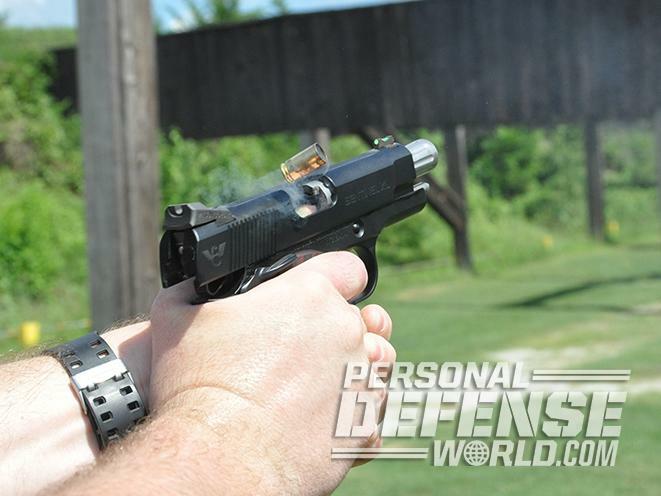 The Sentinel XL was also 100-percent reliable during the range testing. I noted that the ejected cases were all in a neat pile, which indicated that the extractor and ejector were properly fitted and tuned. I have been in the gun-writing business for over 30 years. I learned long ago that you can’t keep every gun you test. But after running the Sentinel XL, I’m very tempted to call Wilson Combat with my credit card number on hand. Besides, my CPA says I need some additional business write-offs! In the meantime, I foresee the Sentinel XL finding its way into my daily carry routine. 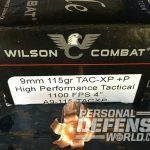 For more information, visit wilsoncombat.com or call 800-955-4856. 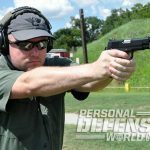 This article was originally published in ‘Pocket Pistols’ Spring 2017. To order a copy, visit outdoorgroupstore.com.